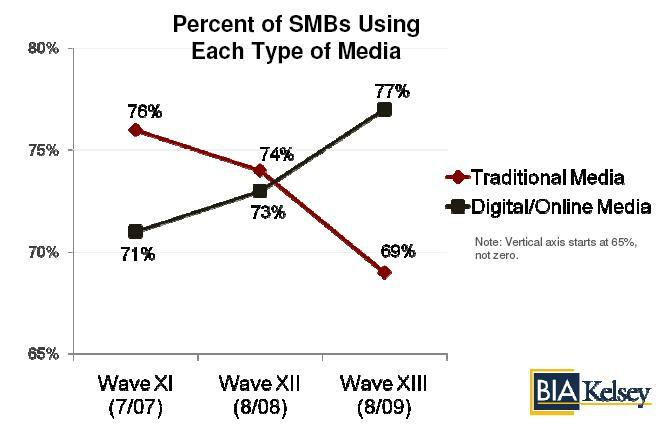 Since Q4 2008 it is know that SMB’s use the traditional media and online media equally. Now things has changed. Many SMB’s use electronic media more than the traditional forms.